Laynee Timlin currently serves as Executive Director of College Relations and Strategic Planning. She leads the VWU Office of Marketing and Communications and the institution's strategic planning efforts. Laynee first came to Virginia Wesleyan in November 2009 as Director of College Communications. In addition to leading the Office of College Communications in marketing and promoting the College, she initiated moving management of the College's website to Communications and took on the role of publisher of the newly designed Marlin Magazine. After three years as the Director of College Communications, Laynee was promoted to Special Assistant to the President / Director of Strategic Planning, under the leadership of longtime, beloved former president Billy Greer. Her years of leadership experience in three organizations proved helpful in guiding the institution in a comprehensive two-year strategic planning effort that resulted in VWC 2020: Pathway to Prominence. From July 2015 - October 2016, Laynee served as Executive Assistant to the President and Chief of Staff during the College's presidential transition period, assuming greater responsibility for leading the College and implementing the new president's agenda and initiatives. Laynee has a variety of professional experience from previous leadership roles in both public and private, profit and non-profit sectors. She began her career as a speech/language pathologist for the Virginia Beach City Public Schools (VBCPS) and served in that capacity for 20 years, receiving recognition as "Teacher of the Year" twice, at both Holland and Tallwood Elementary Schools. Years of dedicated service and positive interactions with students, parents and co-workers led her to administrative appointments with VBCPS, the second largest school system in Virginia, first as the division's Partnership Coordinator and subsequently as the Director of Community Relations for the division. In this role, she was ceritfied as a meeting facilitator for the Malcolm Baldridge Quality Improvement initiative. 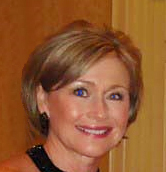 Laynee was nominated by her staff and subsequently selected as "Administrator of the Year" by the Virginia Beach Association of Educational Office Professionals (2002-03) and the Virginia Association of Educational Office Professionals (2004). After 30 years of service, Laynee retired from VBCPS to accept an appointment with Landmark Communications, Inc. as Organizational Development Manager for the Corporate Human Resources Division in 2006. In that role, she designed and facilitated leadership and training programs for the company's senior leaders on topics such as "ethics in the workplace," "effective employee engagement," and "leveraging difference in the workplace." She was actively engaged in the company's succession planning, executive coaching and senior leadership development initiatives. Laynee is certified as a facilitator for the Myers-Briggs Type Indicator. Laynee, a Pennsylvania native, earned a Bachelor of Science in Speech Pathology/Audiology and a Master of Education from California University of Pennsylvania. She and her husband, Ed, reside in Virginia Beach. They have three children and seven grandchildren. Timlin, Laynee Herron. "Mining for Diamonds in the Rough. . . Students at Risk: Identification and Intervention," A Tapestry of Knowledge, Volume I. Virginia Beach City Public Schools, 1998.